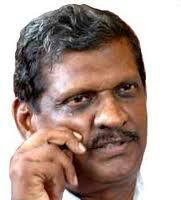 Kerala water resources minister PJ Joseph has been summoned by the Thodupuzha I class magistrate court in connection with the sms case. According to the case, Minister PJ Joseph has been accused of sending blank sms to Surabhi Das, a lady from Thodupuzha. The case has been registered under section 511 of IPC and section 6 of the IT act. The Minister was earlier acquitted for misbehaving with a lady Lakshmi Gopakumar, who was a co-passsenger in the Chennai - Kochi flight he was travelling during 2009.